But I bet you didn’t know how much. Single-parent families and birth out of wedlock put a child significantly at risk, and both are on the rise. 1/3 of children are now raised without fathers. 1/9 of children are raised without mothers. Marriage is a lifestyle choice. But lack of married parents is also an economic, educational, social, and mental health crisis in the making. Single-parent families, and educational attainment of house-holding parent are the largest indicators of youth poverty. Children living with single-parent mothers are 5.5 times likelier to live in poverty than children from married-parent homes. That’s 9.6 million single-mother families in poverty. Single mothers are particularly entrenched in poverty. Staying impoverished for an average of 7 years, single divorced mothers make 67% of their married earnings. Divorced males make 90% of their married earnings. Poverty is cyclical. Give your kids a chance. 71% of children whose parents were in the bottom half of income distribution are upwardly mobile, but not by much. Only 38% of individuals born into the bottom half of income distribution move into the top half. Collateral damage: Self-esteem, health, chances of success in standardized tests. Cohabitation, and step parents do not take the place of married biological parents. –TO similar extents, single parents, cohabiting partners, and step parents provide less supervision and support than married biological parents. –Or, children without married parents are 20 percentiles behind the emotional development stage of children from married parents. 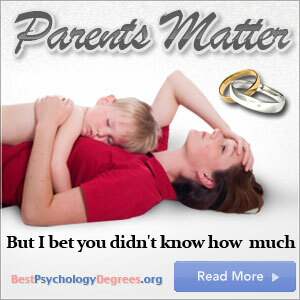 –Or, children without married parents are 7 percentiles behind the cognitive development stage of married parents. –Or, children without a degree holding parent are 27+ percentiles behind the cognitive development of children of degree holding parents. Unmarried homes lower childrens’ standardized test scores, graduation rates, and educational attainment. Students from non married homes score lower on elementary school tests in reading, math, science, and history than students from married homes. Children from unmarried homes not planning on getting a college degree. Only 60% of children from unmarried homes even apply to college. Children from married homes behave better, are more engaged, have better attendance, are less likely to drop out, and are more likely to complete every stage of education than children from unmarried homes. When from a single parent home. Black males suffered the most from lack of a father. With drug addiction rates jumping 6x when living in a single-mother home. Both boys and girls twice as likely to develop severe depression, bi-polar disorder, or schizophrenia when from a single family home. Overwhelmingly bad outcomes come from 30% of homes that are single-parent. More than half of all youths incarcerated in the U.S. are from single-parent homes. Parents (plural) who are married, matter. Period.